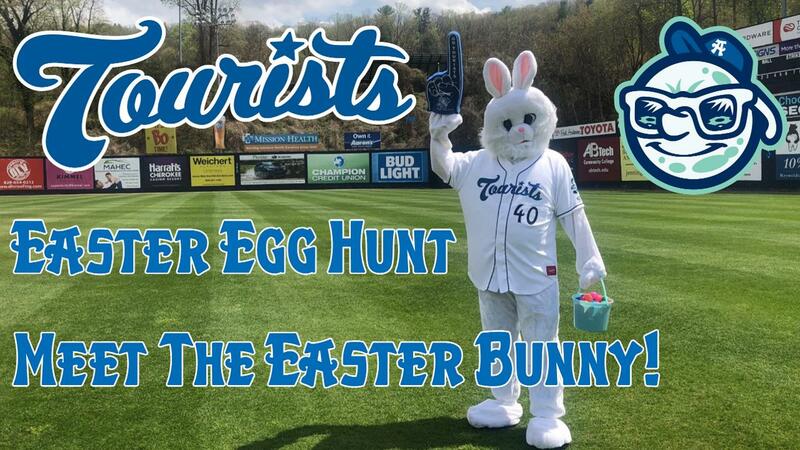 ASHEVILLE- This Saturday, April 20th, the Asheville Tourists are hosting an Easter Egg hunt at McCormick Field. In addition to the hunt and the special afternoon start time, the Easter Bunny will be present to visit and take pictures with kids and families. Fans must have a ticket to the game to enter McCormick Field and participate in the hunt. Kids ages five and under to do not require a ticket to the game as long as they do not need their own seat. Kids ages 6-12 receive a discount on game tickets.